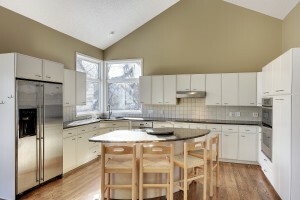 If you are looking for a spacious and beautiful home that is centrally located, it doesn’t get more perfect than this. 510 Cottonwood Ln N is situated on a .62 acre lot in a quiet cul-de-sac and is near shopping, restaurants and many major highways. 510 Cottonwood Ln N is one of those homes that simply takes your breath away. Right away, you will notice the arches, pillars, vaulted ceilings and cut-outs throughout which make this home architecturally significant. The expansive 4,467 sq. ft. floor plan makes entertaining a breeze. 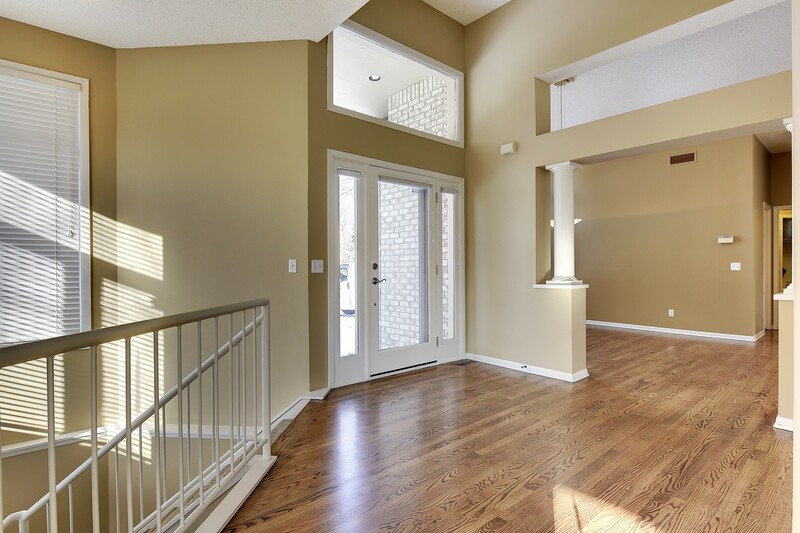 Enjoy the hardwood floors, neutral paint palette and many large picture windows. The great room on the main level with vaulted ceilings includes the kitchen, family room and dining room. 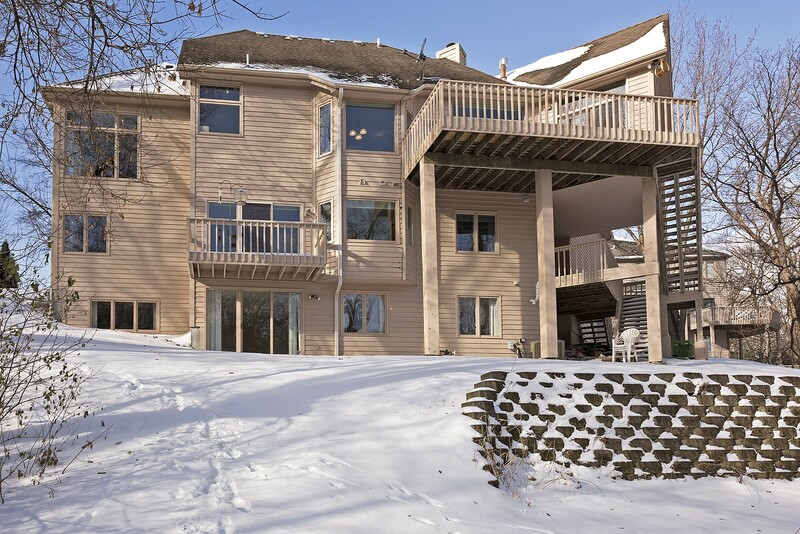 Admire the panoramic views of the wooded and private backyard. Located off the family room is the four season porch with deck access. In the gourmet kitchen, not a detail is missed. The spacious granite island, stainless steel appliances and plenty of storage allow you to whip up a delicious meal with ease. This home was once featured in the Parade of Homes, and with good reason. 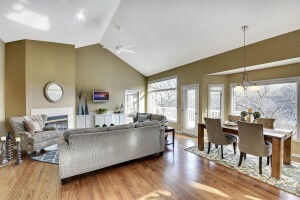 The open floor plan is unique; entering on the top/main level is where the living and dining room can be found. The first floor down leads to all four bedrooms, including a spacious master suite. At the end of the hall is the theater room which has a built-in fridge to enjoy your favorite beverages while curling up and watching a movie. Additionally, off of the theater room you will find a fourth garage stall, perfect for storing lawnmowers and other outdoor equipment. 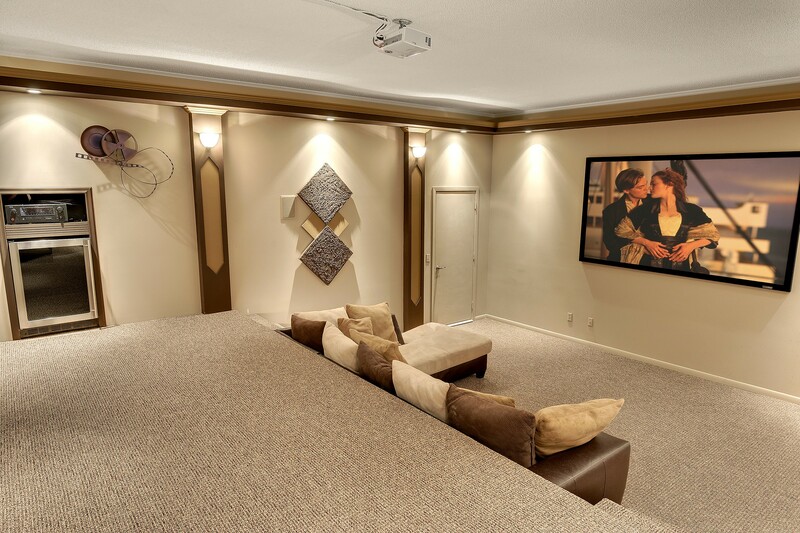 The lower level is a finished walkout with a spacious amusement room and wet bar area. While outside 510 Cottonwood Ln N, the wetland views will provide a sense of seclusion, like you are worlds away.